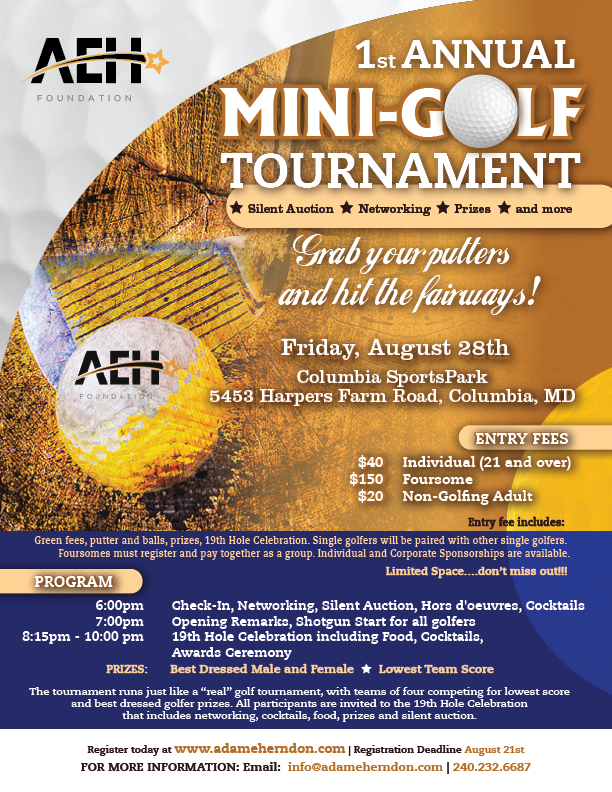 1st Annual Mini-Golf Fundraiser a Huge Success! The success of the tournament helped the Non-Profit Foundation reach and serve more youth through its mentoring program that gives back to the community by showing youth that they can achieve any dream imaginable through hard work, discipline and perseverance. “We were truly excited by the enthusiasm for our inaugural event, which we believe stays true to the spirit of the youth, yet with a ‘grown-up’ flair,” explains Adam Herndon. Best fundraiser event ever! I will be back next year. I had quality time at the event last week!!! Thanks so much for my goodie bag! Love it, love it! I’m glad everything went well for the outing. It was a really nice event. Tara gets two thumbs up for planning and you’re the best as well. Thanks again for the invitation!